Woodworking generates and amazing amount of dust. Dust collectors help keep your shop clean and tidy. 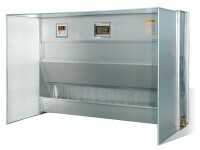 More importantly, dust collectors keep the air free of dust which improves the overall safety of your shop. Dust collectors remove a significant amount of dust from the air, improving the working environment and cleaning the air for your employees’ health. It also helps your shop to meet government regulations in regards to dust particulate in the air. Featuring noise suppression technology, dust collectors can run continuously at a low level of noise. 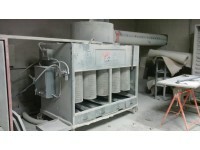 A variety of dust collectors are available with a wide array of options to choose from.